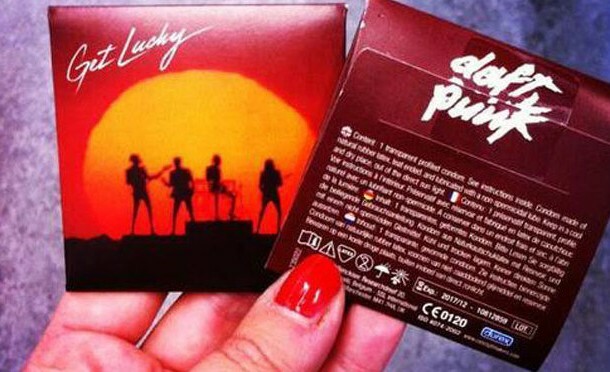 Daft Punk, the electronic music band, has officially released its own brand of “Get Lucky” condoms. The French duo teamed up with Durex to create condoms sporting the art of “Random Access Memories,” Daft Punk’s latest album. Sample packs have already been mailed out to different DJs. And that’s not all. The band has already released its signature line of action figures, which—as described by critics—pay meticulous attention to detail. So, what’s next for Daft Punk?